We’ve crafted some great signature drinks for these dark and foggy winter days. First, we have a new barista! Nick joined Revel 77 in January 2019. 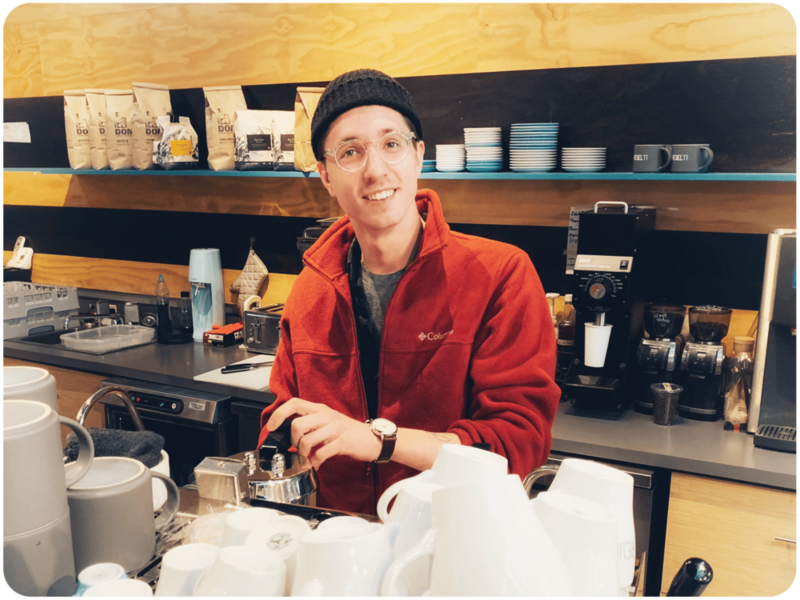 He's a talented barista, a lot of fun, and we are super excited to have him at Revel. Come and meet the new guy! Our master barista, Kaitlyn Blom, and team have come up with a delicious set of speciality drinks to fight off the winter grays. This mocha features a house-made chocolate cherry syrup, and garnished with dash of dark chocolate. A tea latte made with a british breakfast tea from Smith Teamakers, and our housemade vanilla ginger syrup. Fight off those wintery bugs with this golden, turmeric latte. Your choice of milk, honey, and a spicy turmeric mix, steam together for your pleasure. We have a lot more going on in February, so keep an eye out for more updates. Until then, stay warm, and stay caffeinated!